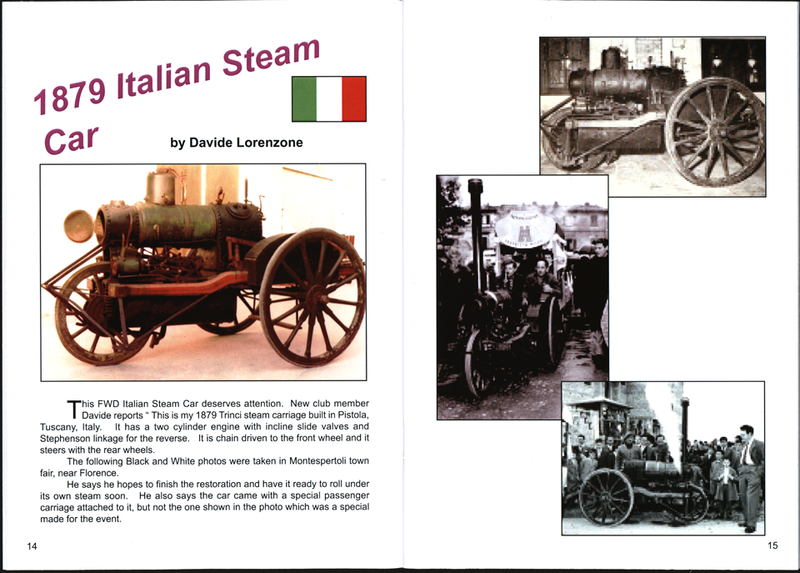 Davide Lorenzone wrote this short article for The Steam Car, the magazine of the Steam Car Club of Great Britain. It details ts. THe Trinci Steam Carraige, 1879, was made in Pistola, Tuscany, Italy. This information comes courtesy of the Steam Car CLub of Great Britain and its Steam Car magazine, January 2017. Contact us if you have additional information about the Trinci Steam Carriage, or if you have questions.